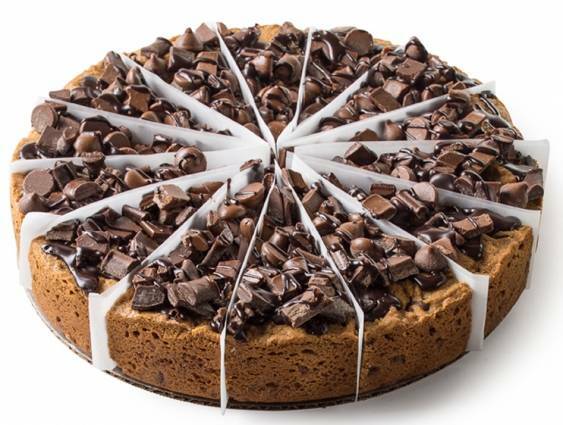 Our giant Deep Dish Cookie is filled with chocolate chips and topped with huge chunks of chocolate, Hershey's Mini Kisses, and drizzled with chocolate ganache. 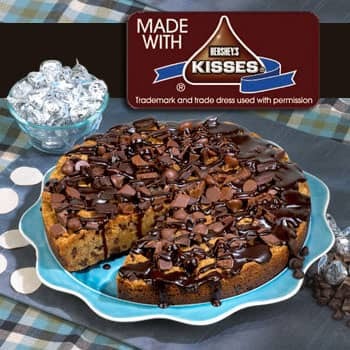 This giant Chocolate Chip Cookie Cake is filled with chocolate chips and topped with huge chunks of chocolate, Hershey's® Mini Kisses and drizzled with chocolate ganache. At 10 inches in diameter, it weighs in at 4 pounds and can serve up to 14 people! It's the perfect cookie cake for your next gathering!